How to Fix Quick Access Problems in Windows 10? Quick Access is a new feature in Windows 10 that exists in This PC, it can quickly navigate to the folders and files that you frequently used or edited. Some users get used to the Quick Access because it is very convenient to locate files and can save much time for them. But to others, Quick Access may cause the invasion of privacy that they don’t want to use it. 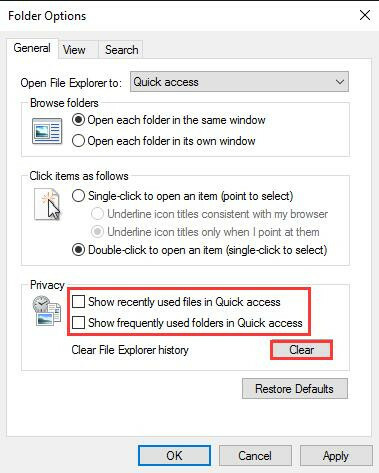 Whatever, following next steps can help you to disable the Quick Access, to add a folder to Quick Access or to fix other problems of Quick Access in Windows 10. If you just upgrade your PC from Windows 8 to Windows 10, you can find that Quick Access replaced the Favorites. You may not get used to the Quick Access and want to disable it. To disable the Quick Access, what you should do is to disable the frequently used folders and files. Step 1: Right-click Windows icon, and choose to open File Explorer, click View tab in Ribbon and choose Options. Step 2: Under Options, click Change folder and search options to the next step. 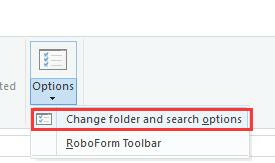 Step 3: Locate Open File Explorer to, click This PC from the drop-down menu. Step 4: Navigate to Privacy settings, uncheck the following two options, Show recently used files in Quick access, Show frequently used folders in Quick access. Click Clear icon to remove the history data. 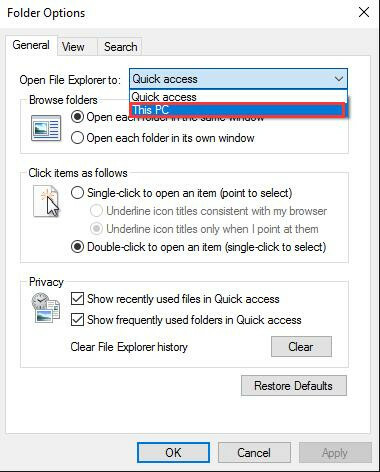 When you use the Quick Access frequently and want to add a new folder to Quick Access, there is an easy way to learn how to do it. Choose a folder and right-click, find Pin to Quick access and click it, then you can find the folder is displayed in Quick Access. If you find Quick Access is not working, first you can disable it and then reable it to see if this can help. If not, try to use the following method to fix the problem. Step 1: ight-click Start icon and choose File Explorer to open the File Explorer. Step 2: Paste the following folder paths to the address bar and hit Enter. Step 3: After the folder is opened, choose all the contents and right-click to select Delete, click it to remove these contents all. Step 4: then restart your PC to check if your Quick Access problem has been fixed. Conclusion: This post tells you some basic settings about Quick Access, whether you like the function or not, you can get what you want to do with the Quick Access. Do to have a look at the post, I promise it will not let you down.